Special Master Edition features hand highlighting by Michael Godard and a special signature in paint. These highly collectible works are also dedicated on the back by Godard. Godard riffs on art superstar Andy Warhol in this fun new piece. 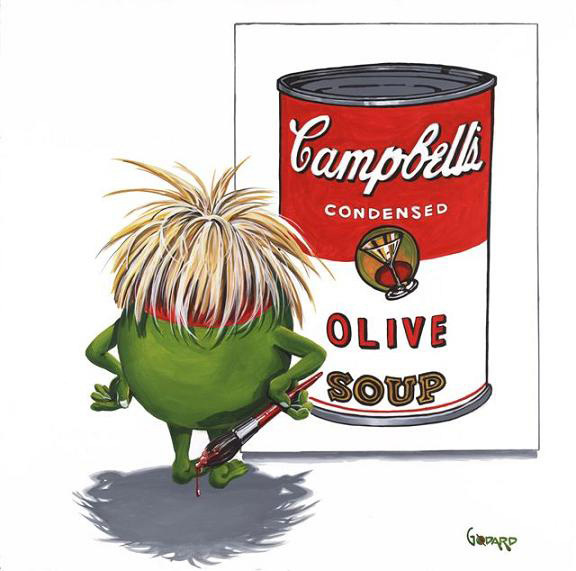 The mop-haired artist is pictured as an olive, complete with his famous soup can!